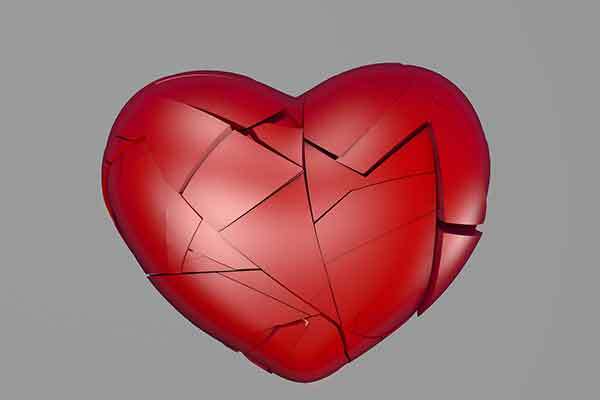 Steps to overcoming the pain and hurt of a breakup, and how to find happiness again. As the great philosopher Aristotle once said, “Happiness depends upon ourselves.” You can’t rely on money, material things, or even other people to make yourself happy. In order to be happy during a relationship or after it has ended, you must be happy with yourself. A breakup is just one of the sticky situations in life that we all experience, some more than others. Let Those Emotions Flow: letting go of a person who you care about can play a huge toll on the emotions. Every song you hear, place you visit, or conversation you have may leave you thinking of them. Grieving is the first step to healing. Keeping bad emotions inside is harmful to the body. It may take days, even months, but once you have dealt with your emotions you will be a happier person. Learn to Forgive: if things ended badly, you may be experiencing a lot of hurt and even anger. Reframe from sending hate mail via e-mail, or leaving nasty messages on their answering machine. Not only are you too good for them, but you are too good for that. Stop wasting your time! They don’t deserve your attention for another minute. Forgive them for the things they have done, and you will find it easier to move on to bigger and better things. Learn to Forget: It will take time. Time and time again you will hear someone say “you will heal in time.” Chances are you will not believe it at the time, but it is true. Once you learn to focus on the present and all that you have going for you, new wonderful memories will grow. Exercise and Eat Healthy: go for a run, join the gym, or attend a yoga class! Exercising gives the body, mind, and soul a natural high. It will leave you feeling refreshed and positive. Plus, you may just catch the eye of the person at the gym beside you! Stay Confident: don’t let your self esteem dwindle because someone dumped you. You’re fun, your beautiful, your the perfect match for someone out there! Confidence is key, not only to feeling great about yourself, but attracting future love interests for when you ready to join back in the game. Do Something Special For Yourself: after a painful experience you should treat yourself. After all, you deserve it. Go get that manicure you’ve been wanting, or that CD you’ve been dying to listen to. Do the things you enjoy most. Keep A Journal or Diary: write about the things that make you happy. Putting emphasis on the good things in life will boast your positive thoughts and feelings. Record the things you are grateful for. Are you appreciating all the beautiful things life has to offer? Go Out With Your Friends: chances are, you did not spend a tonne of time with your friends while you were in your relationship. Go out with your friends. If you’re feeling really down, talk about it with them, even ask them for advice. Just have fun! By the end of the night you will hopefully remember how great it is to be single. Get Back On the Road to Happiness: Remember, “happiness depends upon yourself.” You don’t need a boyfriend or girlfriend to be happy. There are plenty of things to be grateful for in life. Spend extra time with friends and family — the people who make you happy!